Check out Tobi's Luxor Jeweled Earrings Got to make a night of it with these showstoppers. The Gold Luxor Jeweled Earrings take statement jewelry to a new level with their sun ray motif, long drop chain and marquise shaped crystals. Even a simple shift dress becomes a cocktail time option with these glam dangling earrings. Got to make a night of it with these showstoppers. 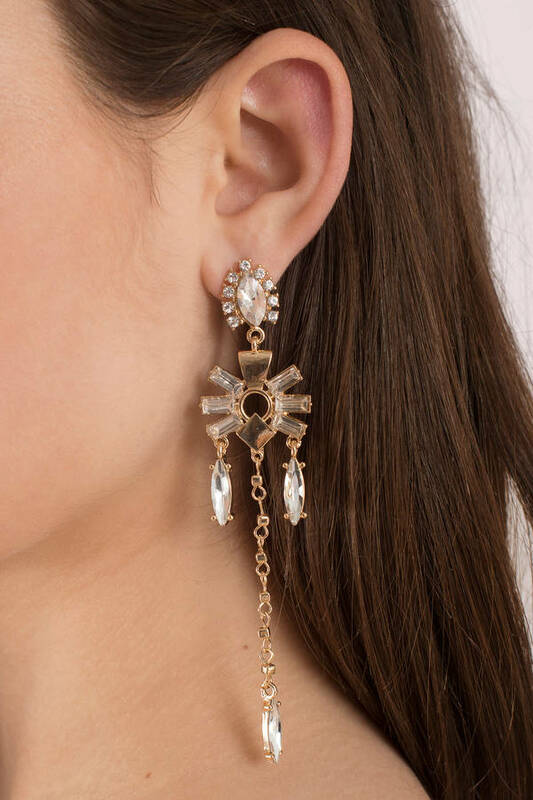 The Gold Luxor Jeweled Earrings take statement jewelry to a new level with their sun ray motif, long drop chain and marquise shaped crystals. 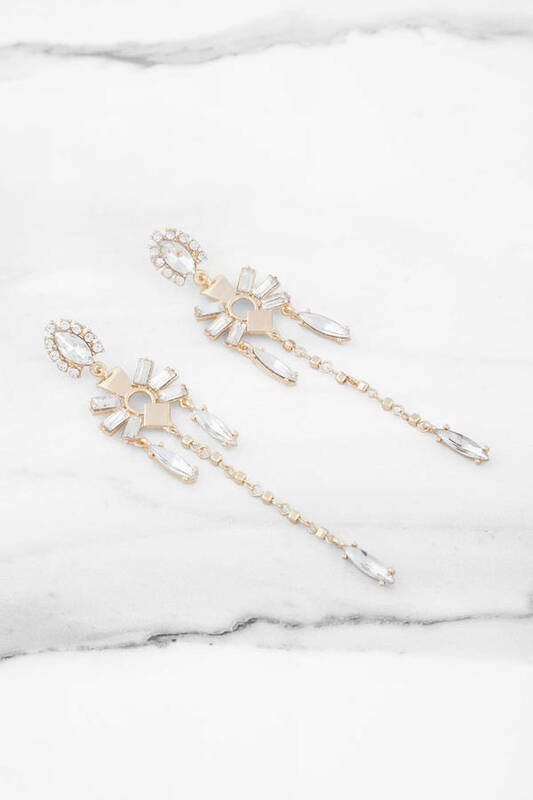 Even a simple shift dress becomes a cocktail time option with these glam dangling earrings.